The Recycling Wheelie Bin – 120 Litre is one of the most popular sizes for wheelie bins distributed across the UK today. Most commonly, the 120 litre green bins are used for glass / garden waste, blue for paper and cardboard, red for plastics. This can be altered to your individual needs. 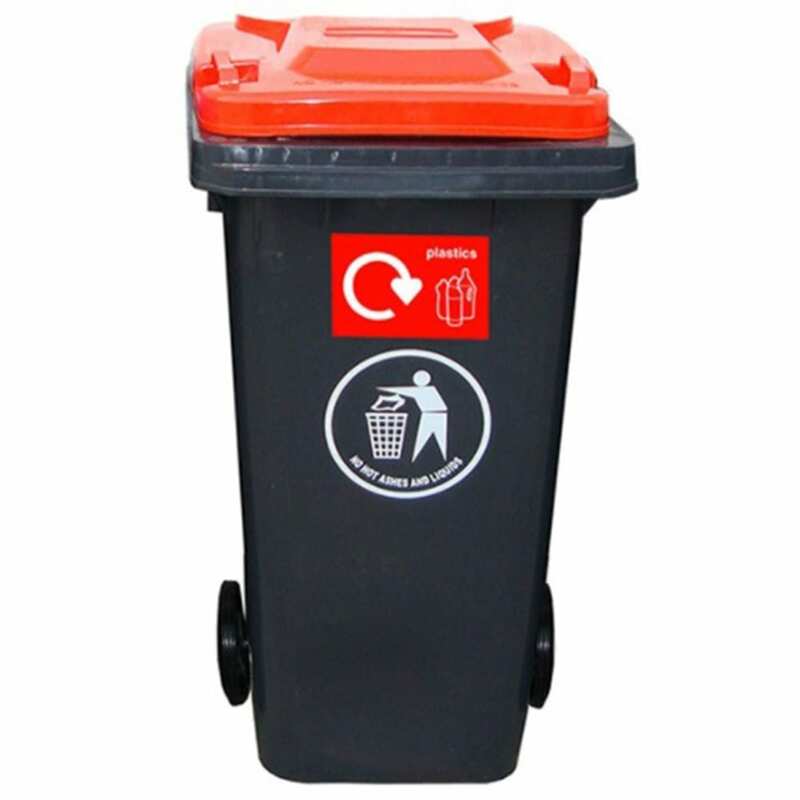 For instance, private households may only require one dark grey bin for general waste and another two coloured wheelie bins for recyclables and garden waste. Our 120 litre wheelie bin has a tough Polyethylene construction which is ideal for outdoor use. It is a durable material which is designed to withstand all of the elements, as well as providing resistance to cracks, dents and bending. The use of Polyethylene and the manufacturing process which creates the curved exterior of the bins, ensures that they are extremely robust and easy to clean and maintain. They can withstand the washing materials, enabling a disinfectant solution to be used when the bins require clearing, and are also resistant to Acid and Alkaline solutions, fungi and bacteria. The EN840 standard is the regulation of mobile waste containers. To be accredited to this standard the wheeled bins must go through vigorous testing to ascertain whether they meet key requirements for their bin category. The manufacturing process of the 120 litre wheelie bins ensures that they comply to the European Standard EN840. They feature two large 200mm wheels which can easily roll over curbs and steps, making sure manoeuvrability is safe, quick and easy. The 120 litre wheelie bin complies to the EN840 regulations as it features a durable integrated handle which can be used with approved DIN and AFNOR lifting equipment.